Guru Angad invented the present form of the Gurmukhi script. It became the medium of writing the Punjabi language in which the hymns of the Gurus are expressed This step had a far-reaching purpose and impact. First, it gave the people who spoke this language an identity of their own, enabling them to express their thought directly and without any difficulty or transliteration. The measure had the effect of establishing the independence of the mission and the followers of the Guru. Secondly, it helped the community to dissociate itself from the Sanskrit religous tradition so that the growth and development of the Sikhs could take place unhampered and unprejudiced by the backlog of the earlier religious and social philosophies and practices. This measure, as shown by the subsequent growth of Sikhism, was essential in order to secure its unhindered development and progress as it required an entirely different approach to life. 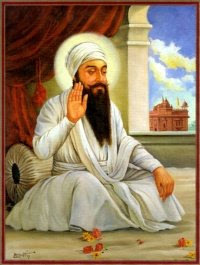 Dr Gupta feels that this step, to a certain extent, kept the upper classes among Hindus, to which the Guru belonged, away from Sikhism, partly because they were steeped in the old religious and Brahminical tradition and partly because the Sanskrit tradition fed their ego by giving them a superior caste status to that of the other castes. But, the idea of equality of man was fundamental to the Sikh spiritual system. Thc Guru knew that its association with traditional religious literature would tend to water it down. 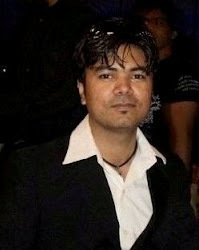 The matter is extremely important from the point of view of the historical growth and study. Actually, the students of Sikh history know that over the centuries the influence of these old traditions has been very much in evidence. It has sometimes even given a wrong twist to the new thesis and its growth. The educated persons were almost entirely drawn from the upper castes and classes. They had a vested interest, visible also in their writings, in introducing ideas and practices which helped in maintaining their privileges and prejudices of caste superiority, even though such customs were opposed to the fundamentals about the equality of man laid down by the Gurus. For example, the Jats, who were themselves drawn from classes branded as low by the Brahminical system, started exhibiting caste prejudices vis-a-vis the lower castes drawn from the Hindu fold. Earlier, the Punjabi language was written in the Landa or Mahajani script This had no vowel sounds, which had to be imagined or construed by the reader in order to decipher the writing. Therefore, there was the need of a script which could faithfully reproduce the hymns of the Gurus so that the true meaning and message of the Gurus could not be misconstrued and misinterpreted by each reader to suit his own purpose and prejudices. The devising of the Gurmukhi script was an essential step in order to maintain the purity of the doctrine and exclude all possibility of misunderstanding and misconstruction by interested persons. The institution of langar was maintained and developed. The Guru's wife personally worked in the kitchen. She also served food to the members of the community and the visitors. Her devotion to this institution finds mention in Guru Granth Sahib. The Guru earned his own living by twisting coarse grass into strings used for cots. All offerings went to the common fund. This demonstrates that it is necessary and honourable to do even the meanest productive work. It also emphasises that parasitical living is not in consonance with the mystic and moral path. 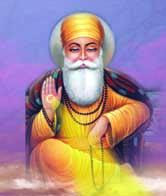 In line with Guru Nanak's teaching, the Guru also declared that there was no place for passive recluses in the community. Like Guru Nanak, Guru Angad and the subsequent Gurus selected and appointed their successors by completely satisfying themselves about their mystic fitness and capacity to discharge the responsibilities of the mission.